Matzah has a no salt rule. It is made of flour and water. Nothing else. No liquids, no spices, not even salt. This is because the Matzah that we eat at the seder represents the poor person’s bread and the poor can’t afford to add flavor to their bread. The poor eat simple bread. In his code of Jewish law, Rabbenu Yaakov Ba’al Haturim wondered why salt compromises the matzah’s status as poor man’s bread considering that salt doesn’t add much flavor to bread. He concluded that though salt doesn’t compromise the simple status of the bread, one should maintain the no salt rule because it is an ancient custom and ancient customs should be observed even if we don’t know the reason. Although Rabbenu Yaakov was unable to find a halachic reason for the no salt rule, the mystics explained the no salt rule according to Kabbalah. And what they taught us, is fascinating. We eat the poor person’s bread at the seder because our ancestors were impoverished as slaves in Egypt. However, we are not referring to financial poverty since our ancestors departed Egypt with great wealth. Our sages proclaimed that that the truest form of poverty is that of the mind– when the mind is devoid of knowledge, we are truly poor. Our ancestors were financially wealthy at the time of the exodus but spiritually impoverished. They had just emerged from centuries of oppression and slavery. They had not studied Torah in Egypt nor had they practiced Judaism. They had yet to meet up with G-d at Sinai and truly did not have a taste for Judaism. They accepted G-d on simple faith. 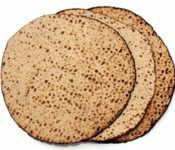 Our unflavored Matzah on the night of the exodus reminds us of our ancestors’ spiritual poverty and their unadorned, unflavored simple faith. This simple faith is the foundation on which our entire religion rests. It is the linchpin of our relationship with G-d. On the Seder night, we return to our foundation–the simplicity of faith. We set aside our knowledge of G-d and our feeling for G-d and start over again, as if from infancy, with nothing but faith. And this simple faith generates a bond so profound that G-d reaches down and lifts us up. From faith we will graduate to ever higher levels of understanding and spiritual passion. But we are getting ahead of ourselves. The first night of Passover is a night for unflavored, unadorned, simple faith. Salt represents the very opposite of matzah, which is why matzah has a no salt rule. Salt has a fascinating history. On the first day of Creation, water covered the deep. On the second day of Creation, G-d created a firmament that separated between the upper waters and the lower waters. Our sages taught that the angels in charge of the lower waters were none too pleased to be dispatched below and begged to return to the upper domain–closer to G-d. G-d assured them that they would always have a presence in G-d’s home. Hence, we pour water libations on the altar during the festival of Sukkot and every offering in the Temple included salt (which is mined from the oceans – the lower waters). Salt thus represents the fulfillment of yearning. Those who are distant from G-d yearn to be closer, they want to discover the meaning of life, they want to experience the purity of their soul, they want to glimpse their infinite depth, they want to encounter their unlimited potential. They desire this with every fibre of their being, every string of their soul. Not everyone’s dream is realized. Salt represents those fortunate few, who achieve their aim and are permitted to enter. They are no longer distant. They become close. As Isaiah wrote, “peace, peace, to the distant and the near.” Our sages explained that he was talking about the penitent who was once distant and has since drawn near. That is salt. This is why salt has contrary features. On the one hand, salt is the ultimate preservative. On the other hand, salt destroys; a field bathed in sulfur, can lose its fertility for decades. In this sense, salt is like a penitent. Like salt, the penitent cuts away from all negative habits, and preserves all positive habits. Salt comes from a distance. It had negative habits. 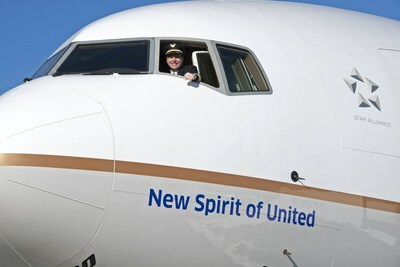 But it drew near and developed positive habits. In Hebrew, each letter doubles for a number. The three Hebrew letters that comprise the word melach, Hebrew for salt, has a numeric value of seventy-eight. This represents the pinnacle of achievement, the apex of the climb. Let me explain how this works. Using the power of concealment embedded in his name Elokim, G-d concealed Himself when He Created the world. Once the world was created, G-d began to reveal Himself in bits and pieces, using the power of revelation embedded in His name Hashem­–the Tetragrammaton. 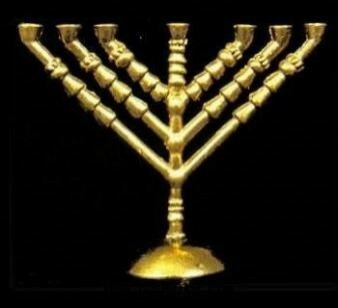 The highest level of revelation was reached when the kohanim (priests) blessed the Jews in the Temple. In this blessing, the kohanim evoked the Tetragrammaton three times, which represents the pinnacle of revelation. The Hebrew letters that comprise the Tetragrammaton has a numeric value of twenty-six. When the Tetragrammaton is repeated three times, it reaches the apex of revelation. As it happens, twenty-six multiplied by three, is seventy-eight, the numeric value of the word melach, salt in Hebrew. Indeed, salt represents the pinnacle of connection with G-d. The penitent makes up for lost time, utilizing his/her pent-up emotion and untapped passion. The one who was formerly trapped beneath the firmament, in the lower waters, reaches seventy-eight, the pinnacle of revelation. This is also why the Hebrew letters that spell melach, also spell machal. Machal means to forgive. We forgive those who hurt us because we realize that our bond is deeper than the pain we were caused. When we hurt someone deeply, and want them to forgive us, we plug into the deepest levels of our bond and seek forgiveness from there. Melach also spells cholam, a vowel in the Hebrew language. This vowel, which forms a sound like the English O, is a vertical line with a dot at the top. A vertical line represents the two-way road of relationships. We reach for our beloved and our beloved reaches for us. With us and G-d, G-d reaches down to us along this vertical line, and we reach up to G-d. The dot at the top of the line, represents our ability to extend our grasp beyond our reach and find forgiveness even if we have sinned. 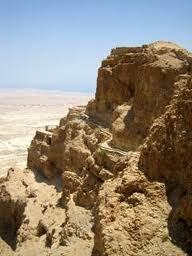 Just like the melach, salt, the cholam, rises from the lowest rung, but he doesn’t just reach the top. He leaps above and beyond to touch the essence of G-d. this is the distant one, who has become close. There will be time for the poor matzah to become rich, for our simple faith to be enriched by understanding and passion, but Passover is not the time for that. Passover is the time for laying out a foundation of simple unadorned faith on which the edifice of our Judaism will be built. Thus, we observe the no salt rule. We don’t add salt to the dough because matzah and salt are opposites. Matzah is poor, salt is rich. Matzah is faith from a distance. Salt is the distant who has grown close. Orach Chayim, chapter 455. This refers to adding salt to the dough, however salt may be added to the matzah before eating. Nevertheless, the custom is not add salt at the seder to demonstrate a love for the mitzvah. 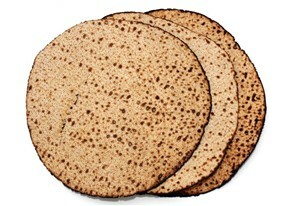 If salt was added to the dough, the consensus is that the matzah is permissible on Passover and even for the seder. Isaiah 547:19 elucidated in the Babylonian Talmud, Brachot, 34b. This essay is based on Likutei Torah, Vayikra, 6b. Welcome to Innerstream's “Concepts” section, where essays are posted on the Jewish milestones in the cycle of life.